Seems ages since I updated the blog, partly because I don't do much exploring in the Summer and partly because of lack a of time. Anyway, stuck indoors today waiting for boiler to be fixed so thought I would continue on the Bentwaters thread. This post will look at some of the WW2 buildings and also the Cold War guard posts. 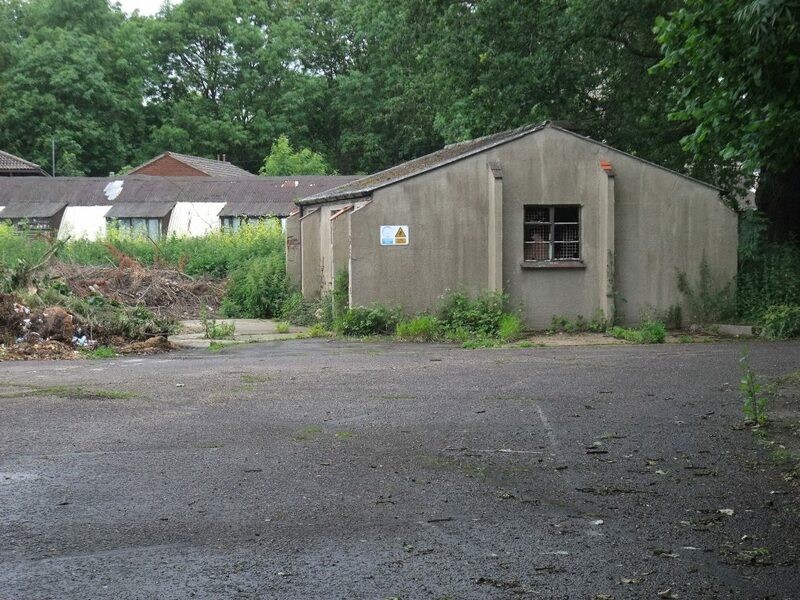 First three images show the watch tower and adjacent buildings (Floodlight Trailer and Tractor shed, Fire Tender House and Night Flying Equipment Store). The Watch Tower is a standard desingn used during WW2 with the upper storey added during the Cold War era. 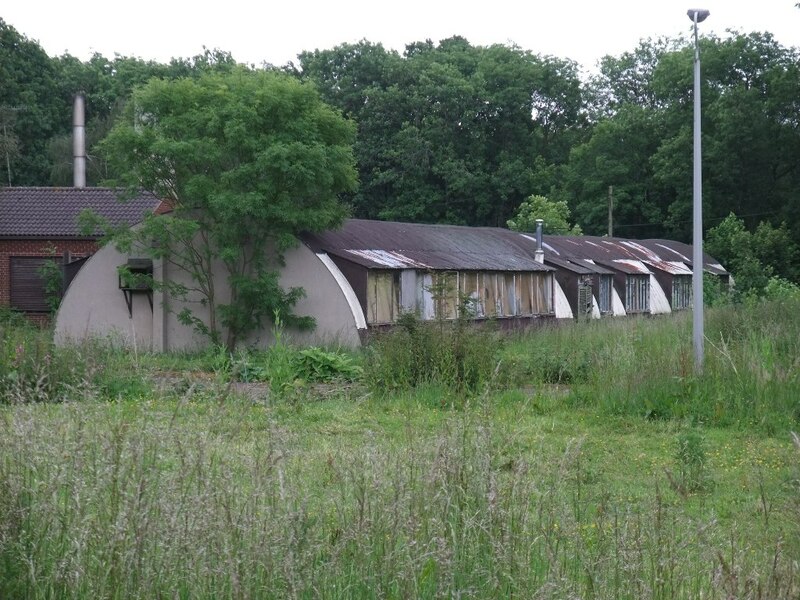 Next two images (above) show one of the surviving T2 hangars, now in commercial use. Bottom photo shows the same hangar in the 1950's, photo taken from the Watch Tower. Around the airfield various other buildings from WW2 still survive. 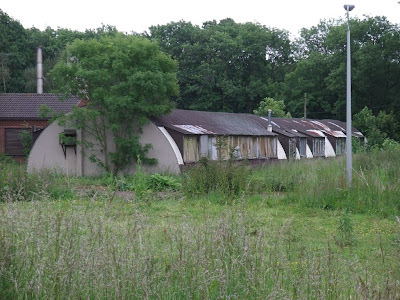 Below are some images of standard concrete huts and Nissan huts along with photos showing some of the WW2 buildings still in use in the 50's and 60's, giving an idea of the rather basic living conditions endured. The above images (last three) show living accommodation in the 1960's. The barrels are for heating oil for the stoves. The barrel on wheels was used to fill the drums by the hut, using a hand pump. The last image shows 81st supply squadron warehouses in 1953. The final part of this post will round off with one of the more modern buildings - some images of the standard guard post that can be found all round the perimeter. This is the only one that is accessible, as it is outside the Airfield perimeter fencing.